In 2019 it seems counter intuitive to be considering using film cameras for your imaging needs. Almost like your next car being one with a carburetor and leaf spring suspension. However, with brands such as Kodak producing classic film stock which gives a distinctive look to the images replicated by many smart phone filters to post production presets, film photography is gaining more fans all the time. Just like the car analogy above, film photography requires more dedication and skill to maintain, costlier than digital as you have to pay for film and developing(although you can do it yourself) and being a purely mechanical workflow, you have to maintain those parts. However, once you have your workflow down the whole experience can’t be replicated with digital. Film cameras are plentiful on the second-hand market. They are also relatively cheap, just not as much so as in the recent past due to the recent upsurge of popularity. Some of the old top SLR’s and even medium format film cameras can be picked up for a reasonable price, considering what you are getting and you can even splash out on some old school prime lenses. Which Film Camera is the Best? As with digital cameras, it depends. 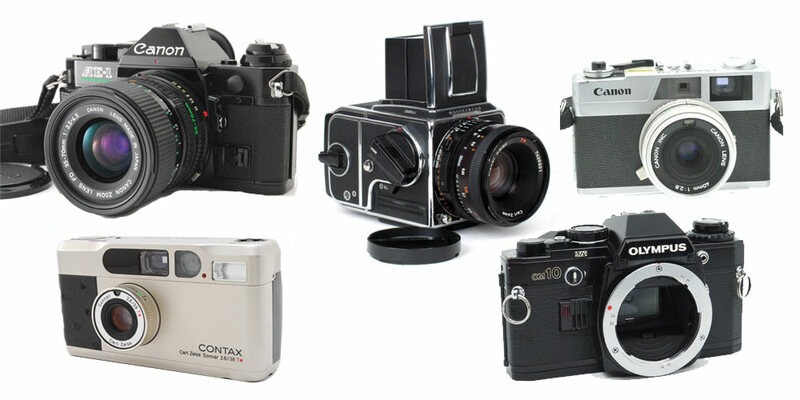 The general categories are medium format, SLRs, rangefinders and compacts. Also thrown into the mix could be offshoot or early formats and even Polaroids, but we’ll stick with the first most common four types. Which one you will choose usually depends on your budget, type of shooting style and maybe even how cool it looks. 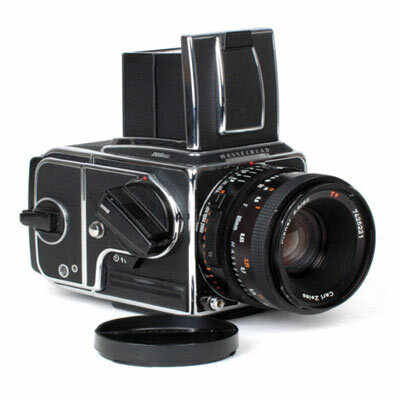 Check out the website Camerapedia, which is a great resource for all the different types of film cameras. We’ve lumped these into their own category, as just like in the digital world they should give the best quality, but cost the most and are largely specialised to more studio work. Brands like Bronica, Mamiya and Hasselblad come to mind. Film versions of the cameras are nowhere near as expensive as their digital counterparts these days, but depending on the make and model you choose you can still pay $1,000+ for just the body. The same with lenses depending on which you buy, with some brands lenses to be found for the same price as SLR lenses. Medium format film will feel like you’re using something the size of notepad paper through the camera, but when you nail an exposure the images come out looking beautiful. If you can afford to spend the extra, a medium format camera will definitely make you look like a pro — from the 1970s. 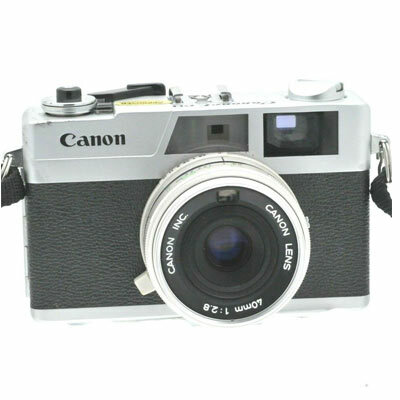 This format of camera was the most popular for many years from amateurs to pros. Examples being The Canon AE-1 and Nikon FM2. 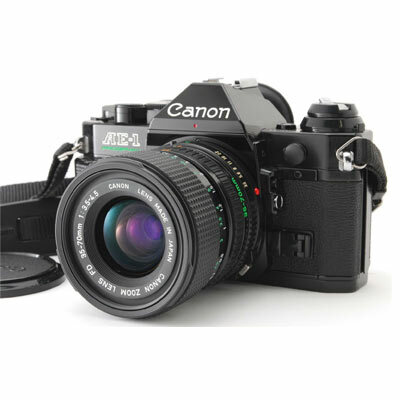 Single lens reflex camera allows interchangeable lenses and a large mirrored viewfinder. Many people who are used to a digital crop sensor viewfinder are amazed at how much they can see with an old school SLR. It’s almost the difference between viewing the world through a huge window or a small hole in the wall. The other satisfaction with film SLRs rarely spoken about is the enjoyable ‘clunk’ when you take an image. Wind onto the next frame, which psychologically preps you for the next image, press the shutter button and you can definitely feel something has happened. It’s almost a more sensory way of taking images. If you’re a shooter used to using the manual settings on a DSLR, then an SLR should be quick to learn. No instant visual feedback here like in the digital world, so you have to be more on point with your camera settings, no matter the assistance given by each individual camera. Lenses and especially primes are relatively cheap and numerous. You could start with a 50mm prime lens, then decide on how wide or telephoto your needs are from there. Most lenses will be manual focus, which is no bad thing for practicing your camera chops. Old school zoom lenses are nowhere near as good as their modern counterparts so stick with camera make prime lenses at least at the beginning stages. Also, shop around and you can easily find a quality SLR camera body and prime lens for under $100 dollars. Second-hand marketplaces usually have loads for sale, giving plenty of options. Compact film cameras are the point-and-shoot cameras of their day. Simple to use and thus not many manual controls. They are much smaller and lighter than SLRs, with a fixed lens. This makes them a very cheap way to get into film photography without learning every facet of exposure. Don’t expect the greatest in image quality as many were mass produced. They also rely heavily on the built-in flash, which doesn’t have a great throw distance. The smart phone smashed a lot of this slice of the market, but due to some celebrity types sporting some of these old school compact cameras the price has recently shot up. 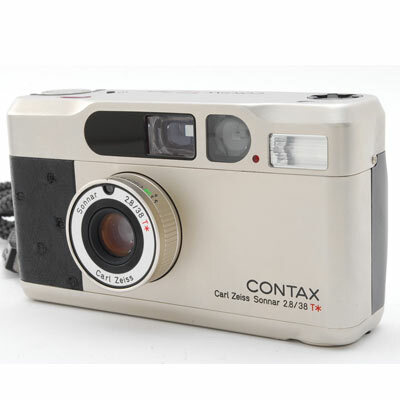 The Contax T2 is now a collectors item, but models like the Olympus Mju ii and Nikon L35AF are still available for under $100. The Ricoh GR and the Olympus Stylus range are also ones to look out for. A rangefinder camera may look similar to an SLR, but in reality is more like a cross between an SLR and a compact. The viewfinder is like a compact camera, not seeing through the lens but the viewfinder is in contact with the lens for focusing. They are usually smaller than an SLR, with similar manual controls. Some rangefinders have fixed lenses, while others allow you to interchange lenses. They are definitely not as feature rich as an SLR, like not having a light meter, but you will definitely appreciate their retro, cool designs. Models like the Canon QL17 and Yashica Electro 35 are both still reasonably priced in the double-digit range, with the Leica M series renowned for their mechanical designs can cost over $1000. Depending on the age of your chosen film camera, it may need a little service before you go through your first roll of film. Checking for battery leakage, any green residue or corrosion will need to be checked and cleaned. Try before you buy is always ideal or get as many images of compartments and internals as possible. Being largely mechanical devices, every lever and button should move as fluidly as possible. Anything on the camera or lens that sticks or jams will need addressing. In the old days, your friendly neighbourhood camera shop could sort out most mechanical problems on the camera, but those outlets are very rare sights today and most likely the cost of repair may come to more than the camera itself. So if at all possible, try before you buy. Make sure the light meter is operational as it’s going to be hard work judging exposure if it isn’t. In this case you will have to buy an external light meter. Older cameras and lenses are usually susceptible to dust and even fungus build up over time. Dust can be easily dealt with using the right equipment and patience, but lenses that look like they are starting to breed new lifeforms may be more difficult to rectify and clean. Buying and developing film isn’t the common high street sight it once was. Most likely you will have to order and process film online. Agfa, Kodak and Fuji make quality film stock, with specific looks and qualities. Development will cost you around $11 for 24 images, with rolls of film around four dollars. It may seem expensive, but you receive prints of your images every time and the process and expectation can’t be quantified. Film photography is getting ever more popular, so it might be just worth picking up one of those cheap film cameras today before they become the next collectors item, rather than redundant technology.